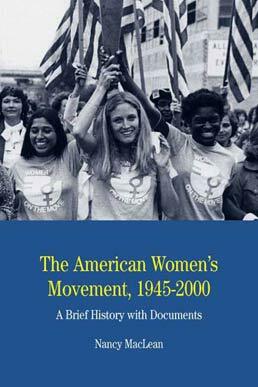 Addressing topics such as wage discrimination, peace activism, housework and childcare, sexuality, reproductive rights, welfare, education, socialism, violence against women, and more, American Women's Movement features a collection of primary sources pulled from the most up-to-date scholarship in U.S. women's history. Including voices of women of all ages, classes, and ethnicities, the text strives to dispel the misconception that the movement was solely a white, middle-class cause. The New Feminism of the "Second Wave"
Nancy MacLean (PhD, University of Wisconsin, 1989) is Trinity College of Arts and Sciences Professor of History at Duke University. A scholar of twentieth-century U.S. history, she studies in particular the workings of class, gender, race, and region in social movements and public policy. 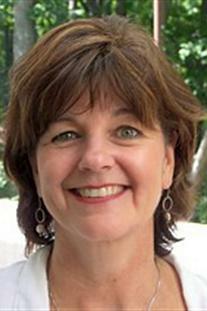 Her first book, Behind the Mask of Chivalry: The Making of the Second Ku Klux Klan (1994), was named a noteworthy book of the year by the New York Times Book Review, and received the Rawley Prize from the Organization of American Historians, the Owsley Prize from the Southern Historical Association, and the Rosenhaupt Award from the Woodrow Wilson National Fellowship Foundation. Her most recent book, Freedom Is Not Enough: The Opening of the American Workplace (2006), received an Outstanding Book Award from the Gustavus Myers Center for the Study of Bigotry and Human Rights, the Willard Hurst Prize for best book in sociolegal history from the Law and Society Association, the Labor History Best Book Prize from the International Association of Labor History Institutions, the Richard A. Lester Prize for the Outstanding Book in Labor Economics and Industrial Relations, and the Lillian Smith Book Award from the Southern Regional Council. She is currently working on a book about the origins of the push to privatize public services and decision-making.